Foodservice operators will often have to decide between one piece of equipment over another -- a fryer or a refrigerator, a salamander or a wood smoker. But the reality is, they don't have to. 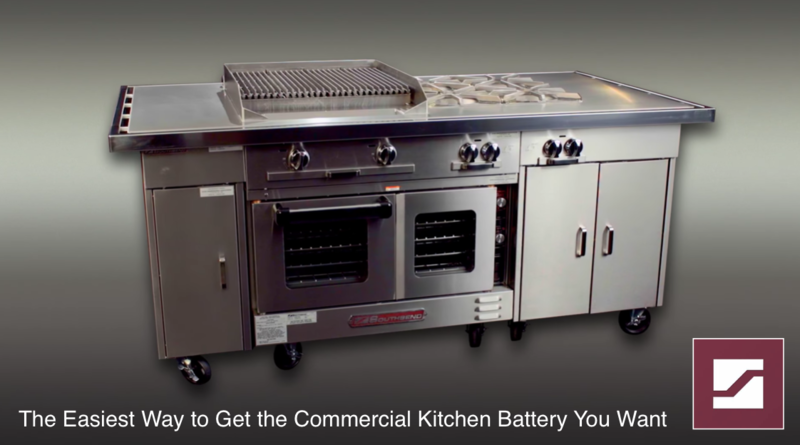 There's an easy way to build the commercial kitchen battery you've always wanted. With just about any design imaginable, Southbend sectional ranges are designed to fit the configuration to match your commercial kitchen needs. Choose from open top burners, griddles, planchas, and more. Infrared broilers combine speed, efficiency, and output. The unit features 1450ºF infrared tile temperature that preheats in 90 seconds. It quickly penetrates meat to lock in natural juices and reduce broiling times by as much as 50 percent. Everyone loves the flavor of barbecue-style wood smoke. Southbend units are a full-width sectional charbroiler with a smoker base underneath. Ideal for melted cheese dishes including Mexican food, casseroles, au gratin dishes, omelets, and more, cheesemelters can be mounted above a range, on a wall, or even be used as a countertop unit. Salamander broilers add high volume broiling in a small space. Salamanders can be mounted above an existing range, on a wall, or used as countertop units. Infrared and radiant models are available. Sectional fryers from Southbend come with multiple capacity options. Options include pre-piped models with up to three fryers, as well as an option drain cabinet for draining fried foods. Southbend's Remote and Self-Contained Refrigerated and Freezer Bases with a variety of sizes and a stainless steel construction. The Southbend Platinum Series of sectional battery equipment allows operators to include any solution they want in a 12 to 18-inch footprint. The series is based on modifications provided by you, not expensive customization. See more videos from Southbend to learn about how their equipment can be implemented in your commercial kitchen. Check out the Southbend Video Library.